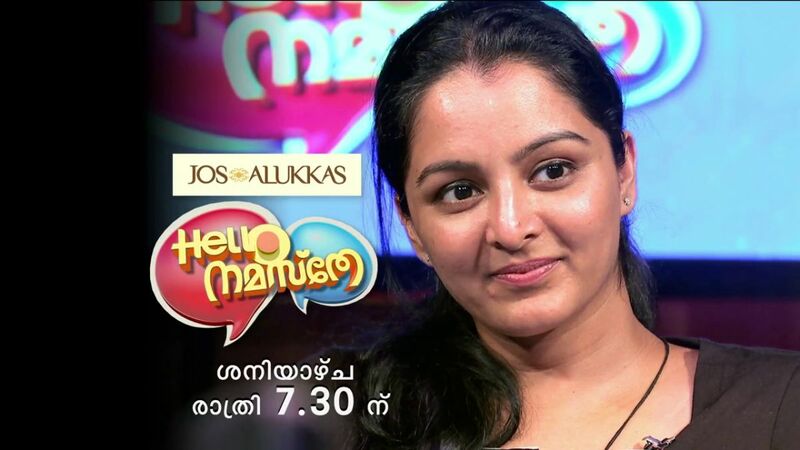 24th May 2014 Episode of Mazhavil Manorama’s Hello Namasthe Show Brings Manju Warrier. She will talk About Her New Malayalam Movie How Old Are You. Time of Telecast of The Show is Today 24th May 2014 at 7:30 P.M and 10.00 P.M. Along with Manju Warrier, Director Rosshan Andrrews and Script Writer Sanjay are In This Show.Hello Namasthe Show is Started on 21th December 2013, Every Saturday 7:30 P.M and 10.00 P.M. Lot of Celebrities So far Featured In This Show. Manju Warrier Is Back To The Malayalam Cinema After a Long Gap. How old Are You is Here latest Release and Its getting Very good Response All over. How Old Are You Malayalam Movie released on 18th May 2014. Manju Warrier Playing The Role of Nirupama Rajeev In The Movie How Old Are You. She Is working as a UD Clerk in Revenue Department. The Movie is passing a very good Social message. Its produced by Produced by Listin Stephen Under The Banner Magic Frames. Sabjay/Bobby pair Scripted The Movie and Its directed By Rosshan Andrrews. Don’t Forgot to watch your favorite Star Manju Warrier on Mazhavil Manorama’s Hello Namasthe Show.